Still trying to find the right coffee blend for you? It can be difficult to choose a preferred blend and roast and some people try hundreds of different coffees before they find one they truly love. That's why this infographic from Sean Seidell is so useful. It looks at the brew, roast and the beans in a cup of coffee and offers up advice on finding the right balance between bitter, weak, body, aroma and acidity. 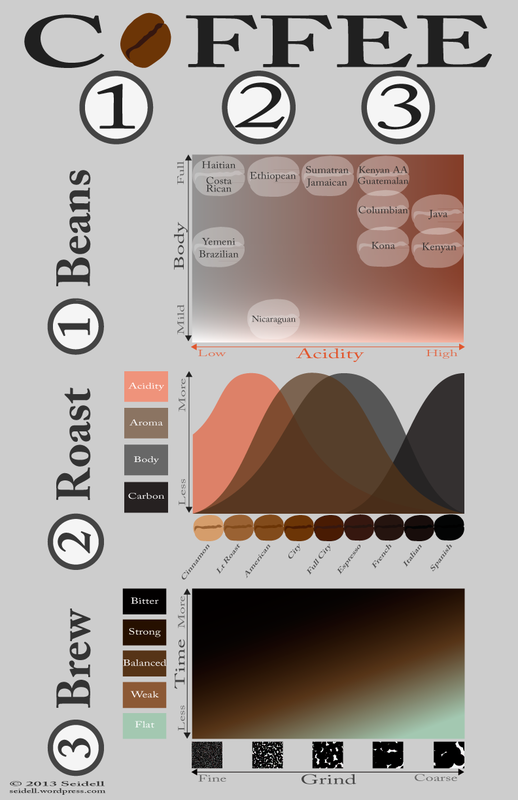 The chart looks at a good mix of coffees and is a simple way to try and find one to your preference without having to drink so much coffee you get Charlie Sheen eyes.